Celebrating its 151st year with the launch of the Joseph Stannah Foundation, Stannah hosted their own ‘Green meets Grey’ STEM day recently. With the aim of encouraging future STEM careers and an opportunity to put the arts and creativity back into design, the next generation of Harrow Way designer and engineers spent an exciting day with Stannah’s experienced and season professionals. Year 10 students from Harrow Way and three other local secondary schools were all invited to an ‘Apprentice style’ day. 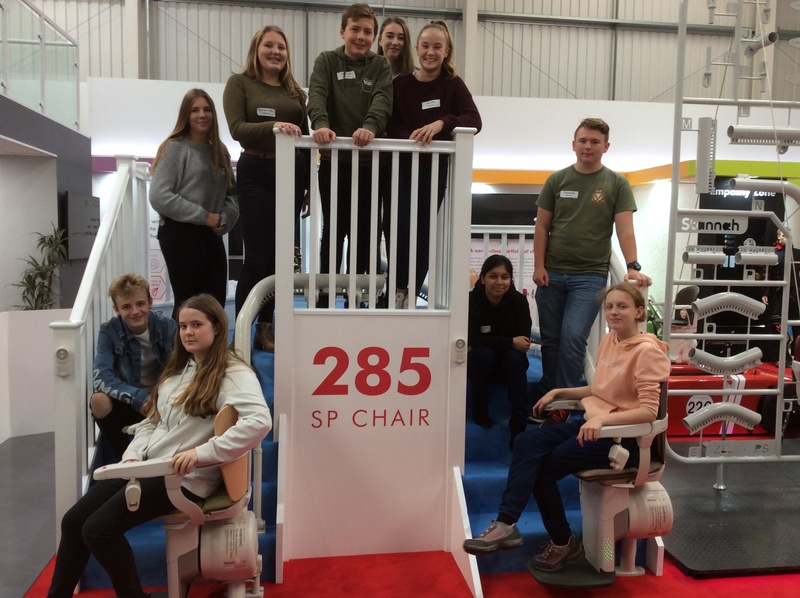 Working in mixed teams, overseen by a Stannah employee and mentor, the brief was to design a stair lift for a person with a specific disability before presenting their ideas to a team of judges from Stannah. 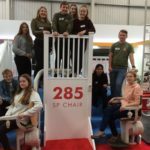 The prize to aim for was the possibility of work experience at Stannah for the winners and discussions about future STEM careers with current Stannah employees and their various roles within the company. The ‘Green meets Grey’ team (designers themselves) prompted and guided the students through the various stages of the design process. Each group focused on addressing the needs of a different disability within their stairlift design. In order to understand the disability they had been given, each group was encouraged to use the ’empathy suite’ at Stannah where there were gloves which tried to convey what Parkinsons might feel like, or glasses to wear to try and convey the problems faced by blind people for example. Studnets enthusiastically tried out the stairlifts and lifts on offer in the suite, ascertaining their benefits and trying to identify any problems their disabled person might face with the current design. There were some very interesting, modern, technical solutions to these issues which the students presented at the end to the judging panel. The presentations were interesting, thoughtful and well planned and the students had clearly worked well with their new team members and enjoyed the experience. As one Harrow Way student said: “Not only were we taught and educated during the day but we were supported throughout by mentors.” The winning team (which included three students from Harrow Way) had designed a stairlift for a blind person and carefully considered what adaptions were required. Their presentation included clear descriptions about their product and their use of drama really brought their ideas to life. It was a fantastic day which enabled students to experience first hand some of the design process and to receive advice from the Stannah employees about the business of design itself.